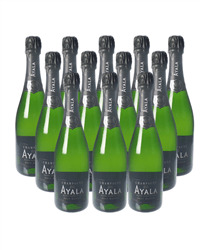 Get yourself 6 bottles of Ayala's famous Brut Champagne delivered together with 6 bottles of Ayala's gorgeous Rose Champagne. 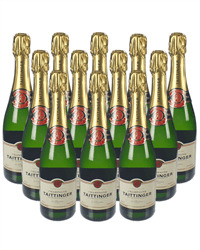 This is a famous old Champagne house that is having a revival since being bought by Bollinger a few years ago. 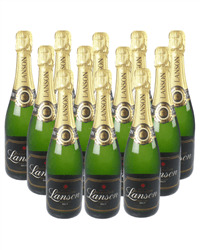 Our case deals come packaged in double walled cardboard boxes with bottle divides, to ensure safe delivery. 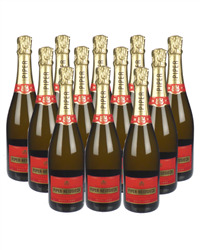 Send a case of Champagne to get any celebration really started. 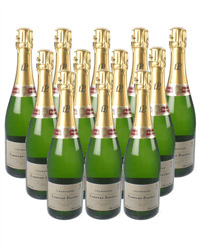 Our range of twelve bottle Champagne case deals include mixed champagne cases of Brut and Rose or just Brut. 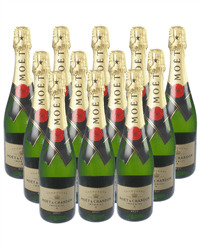 We stock most of the more famous brands, such as Bollinger, Moet & Chandon, Veuve, Lanson plus more and to keep it simple you can order online or by phone, we will deliver to the address of your choice, carefully packaged with your special gift message.